After reinventing the keyboard with predictive text in iOS 8, and trying its hand at Google Now-like integration and Google Voice, Apple moved on to a new SDK feature that they are calling “Extensions,” today at WWDC. What are extensions? 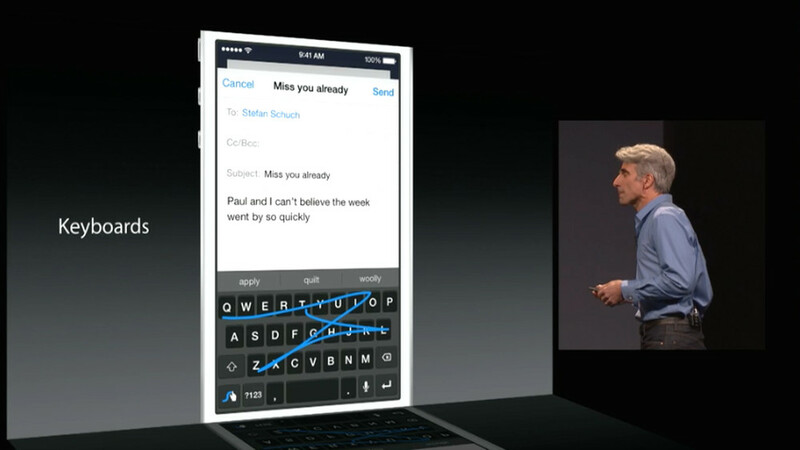 Well, they do a number of things, like enable 3rd party widgets, sharing, and keyboards. Impressive, right? So those keyboards, like Swype, Swiftkey, or any of the other four-dozen keyboards on Android that you all have had available for years, could potentially make their way to Apple, so that you could avoid using that impossible-to-type-on Apple ‘board. Apple enthusiasts should be throwing the biggest party in history, just for that announcement alone. With sharing, that means that Dropbox or Box or Pinterest or a non-official Twitter app could build in the ability to share directly from an app. In the past, Apple only allowed specific apps to have this power, like the official Twitter app. 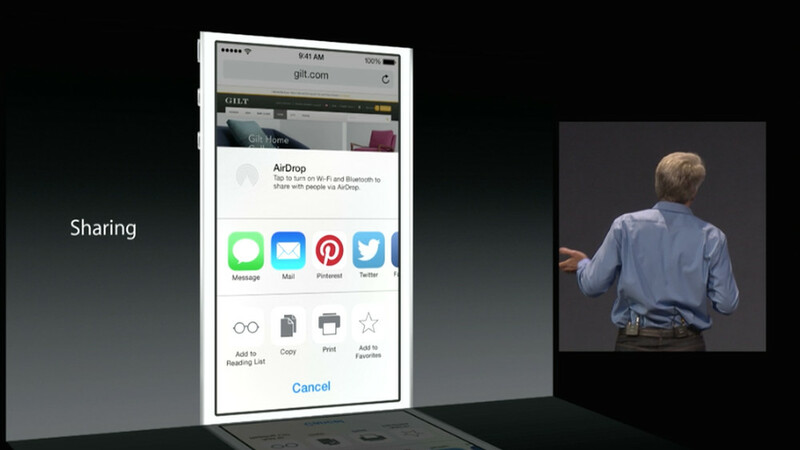 But with this new 3rd party sharing extension, almost any developer can add in sharing. So on Android, how since the dawn of time, you were able to share things with any Twitter app you choose or to Instagram or to another browser or to WhatsApp, you will soon be able to do the same on iOS. And finally, Widgets are here! Now, to be fair, Apple introduced their own closed-off widgets integration a while back – these are “widgets” that hang out in the notification pulldown. But now, with iOS 8, 3rd party developers can introduce widgets as well, all of which can be displayed in your notification pulldown. This may not be full-widget-integration with all sorts of control like you get on Android, but it is certainly a step ahead from where widgets used to be on iOS. I’m sure we will have more. Stick with us for all the WWDC reinventions that a person can handle.